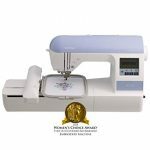 Janome 6500P is one of the very best high-end sewing machine ever reviewed on Sewing Machine Reviews. The only con of this machine is that it doesn’t do free arm. Caution : Below is a lengthy description of each and every feature of this sewing machine. If you are a person who gets bored easily, you can scroll down and read the ‘Usability’ and ‘Verdict’ section to know whether it is worth buying or not. This is a top end sewing machine from Janome. 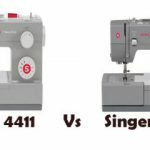 Janome projects 6500P as a dream machine for every type of sewist. You can call this a computer, it has that many advanced features. 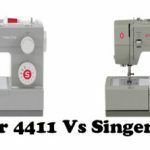 It has a lot of buttons and features that need a bit of explanation.I feel it is important to know all the features before investing in a sewing machine that costs a lot of money. I hope you don’t get bored while I explain each buttons one by one. It has 135 built-in stitches across different modes. The mode button lets you select the mode of stitches. Mode 1 is for utility stitches, Mode 2 is for utility and quilting stitches and Mode 3 is for utility and decorative stitches including 7 buttonholes. There is another button for lettering. 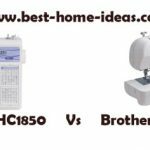 This machine has lettering in two different styles and sizes, with which you can make good looking quilt labels. The memory end and memory recall button on Janome 6500P is one feature that really impressed me. You can combine stitches or letters and store it in the memory so that you can stitch it out later. There is a twin needle button which automatically reduces the stitch width to prevent needle breakage ( Another good one from Janome ). The elongation key lets you elongate stitches up to five times and that too without loosing the stitch density ( For me that is a cool one ). There is an independent motor for bobbin winding, which means you can actually wind a bobbin while you are sewing. The retractable thread guide is one feature that most people like on this machine. You can place it up so that it gives good room to place thread cones.There are two large spindles on the machine where you can put large cones of thread, which saves the time spend for placing another spool of thread every time you work on a project. Separate buttons are provided for adjusting stitch width and length. This machine has 71 needle positions, 35 to left, 35 to right and 1 at center. The Edit button lets you edit program patterns like stitch width, length and elongation. There is a help button with ‘?’ symbol on it. Janome 6500P has a wonderful backlit LCD screen which tells you all the information about the selected stitch, its width, length, which foot to use etc etc. The screen will also show the suggested tension. For eg: For a particular stitch, the screen shows the best results can be achieved with the tension ranging from 2~6, you can choose what works the best for you. One thing I noticed about the screen is that, it is very intuitive. You won’t have any trouble understanding the settings, even if you are using it for the first time. The screen brightness can be adjusted. Upper thread tension can be adjusted by turning the dial. It has one important feature which is essential for quilters and garment makers, it is the adjustable presser foot pressure. The extra-high presser foot lifter comes handy while dealing with bulky fabrics. As a sewer, I really liked the room you can get. The arm and bed space is 9″ x 5″. A lever is provided for raising or lowering the feed dogs, which can be used for free motion quilting. The knee lift lets you raise and lower the presser foot. It makes pivoting while sewing very easy, you can make sharp corner stitches quite easily. If you press the thread cutter button, it will cut the upper thread and the bobbin thread at the same time. Programmable needle up/down feature is crucial for quilters. Janome 6500P has separate button for locking stitch. Once you press the button, it will lock off the stitch, also you can lock at the beginning and end of a stitch pattern. There is a reverse stitch button as well. The keypad on the machine lets you select the stitch number. You can also make your own combination stitches by combining different stitches by pressing the corresponding stitch numbers and you can save it in the memory for later use. It has variable speed control which means you can go fast or slow according to your requirements. It can sew at a speed of 1000 stitches/min. The angle marking on the needle plate lets you pick the right angles. It comes with an extension table with numbered scaling. There is an optional industrial table as well.You will also get an accessory gift box, with a lot of accessories. This machine has 25 year limited warranty. One thing I noticed is that, those who bought this machine, absolutely love it. 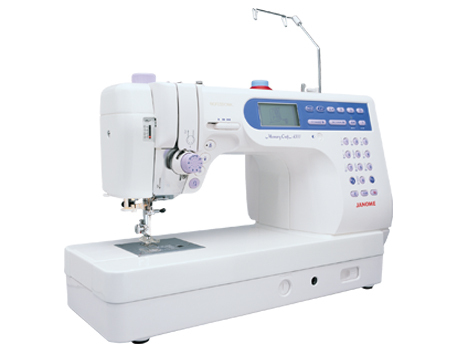 Janome 6500P has been rated very high by its users. This is a workhorse. It is sturdy, reliable and powerful. I have already talked about how intuitive is this machine. If you are looking for a user-friendly machine, I guess this machine is right up there with the best, if not the best. This machine works the best for those who want to use it for their business. Being a sturdy workhorse, it can provide consistent, professional results for a long period without much maintenance or repair. Its users never complained about any major issue after running it for years. It is a heavy machine, weighing 27 pounds, which clearly suggests about the build quality of the machine. As far as I know, Janome uses the best of heavy-duty metal wherever possible unlike other brands which use plastic to cut down the price. 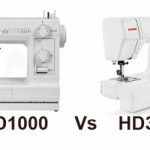 This is evident from the fact that Janome has very small number of ‘under $200’ sewing machines (may be 3 or 4) whereas others have 20-30 of them. There is ample space on this machine for large quilts. The adjustable presser foot pressure makes sewing through thicker fabrics a walk in the park. There is no limit for creativity on this machine. You can customize the stitches to any extent. The automatic needle threader and cutter are huge time savers. There is nothing to hate about this machine. One feature that is lacking on this machine is the free arm capability. Janome 6500P scores all the points for ease of use and quality. Its smooth and quiet operation really impressed me. As a sewer, quality has always been my top priority. That is the reason why I had to mark some machines under the ‘LOW’ recommendation level. But 6500P clearly deserves a ‘HIGH’ recommendation level. Certainly one of the best high-end sewing machines ever reviewed by me.